We offer a range of professional property advice. Our specialisms are rural and residential assets, but we also deal with commercial developments. From a complete Rural Estate to a single flat, our management service is comprehensive. Professional advice ranges from surveys, valuations, planning, compensation claims, asset management and rent reviews. 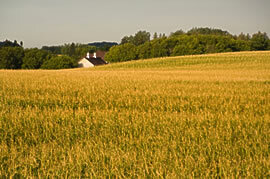 We are Chartered Surveyors and Agricultural Valuers.